everyone. Please share what you've been reading. 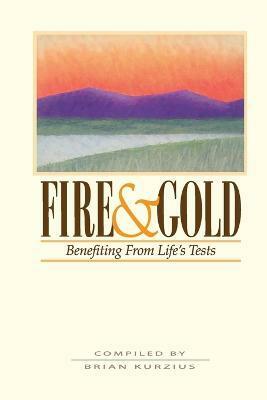 I read Fire and Gold: Benefitting from Life's Tests - 5 Stars - This is one of my favorite books of Baha’i quotations. I have been going through it for several years and I try to read one quote most mornings during my prayer time. The quotes help to calm me and set the tone for my day. They’re perfect for not only dealing with life’s tests and difficulties, but also trying to understand the purpose and the source of tests. 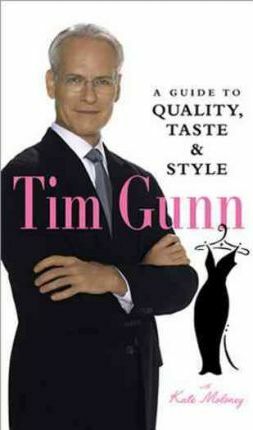 I also read Tim Gunn: A Guide to Quality, Taste and Style - 3 Stars - Tim Gunn is one of my favorite celebrities. The man has class and unlike so many in the fashion world, he also happens to be considerate and kind. I often wish that he would help me with a brand new makeover and clothes shopping! My daughter and I enjoyed his TV Show, “Guide to Style” so much, that we plan on watching them again. I liked this book just fine, but didn’t love it nearly as much as “Gunn’s Golden Rules: Life’s Little Lessons for Making it Work”. There were some good tips in this, but nothing groundbreaking. I knew most of it already. For me, it was just an enjoyable reminder. The illustrations are charming. I finished my Lamplighter book, Ishmael, and googled some pretty interesting things about the author, E.D.E.N. Southworth - extremely popular in her day, it seems. A silent movie (under a different title) was made of this book in 1921, leaving out a major character and plot point. It's so interesting to me, from a literary and historical point of view, to read what "everyone was reading" at certain times in history. I had an urge to reread a delightful children's book called A Day on Skates (it looks like a picture book but it actually has several short chapters) by the prolific Dutch-American author, Hilda von Stockum. This book used to be readily available at my library until they started The Great Purge of Good Books several years ago - so this time I had to ILL it and it came from a library 2,000 miles away. But it was as lovely as I remembered. I have Where the Crawdads Sing and I'm hopefully going to start it today. I had no idea this was written by the woman who had several nonfiction bestsellers years ago, including Cry of the Kalahari. Interesting! I read The Seven Deaths of Evelyn Hardcastle by Stuart Turton this week. Oh my word! This was an amazing out of the box mystery. 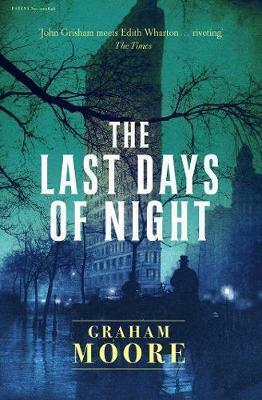 I read it described as 'Agatha Christie meets Groundhog Day.' Maybe it was Stacia who described it as such. I loved it!! I also reread And Then There Were None by Agatha Christie. I loved it as much the second time around. It is a comfort read for me. I am still reading my friend Erica's manuscript. It is an interesting approach to telling a story. Each chapter reads like a short story and focuses on a different character. All of the characters live in the same town, and the stories are interconnected. I'd say that the theme is that appearances are deceiving, and that everyone is struggling with something/carrying some kind of burden. There's also a note of hope in each story, and while the characters have their challenges, the overall mood is not a downer. I've had a busy week, so I haven't made as much reading progress as I'd hoped, but I should have this knocked out in the next few days. It's so interesting to me, from a literary and historical point of view, to read what "everyone was reading" at certain times in history. "A Day on Skates looks delightful! It looks like the type of book that I would have loved as a child. I wonder if I should go ahead and search for a used copy for myself? Looking forward to hearing your thoughts on the Crawdads book. Julia, I have been thinking of you and hope that all is well with your daughter. The Evelyn Hardcastle book is already on my list and I look forward to reading it. Erica's book sounds great. How exciting for her to write! Is this her first book? Sounds like something that I might like. Kindle books on sale today. Negin, thank you so much for your thoughts. My daughter has made it to Sydney and has just boarded the plane for Melbourne. She, then, has to find her way to the agency (she is working through them as an au pair.). Once she arrives there then I will be able to breathe easier. It reads really fast - I read it in two days (rare for me). I liked it - it's very un-put-downable, for sure. I was a little "meh" about a few aspects of it and not as wildly enthused as most of the reviews are ... until the end. I loved the end. Julia, I'm interested to hear what you thought of the ending - I see that on Amazon, people who dislike this book really hated the ending. I felt that it was 100% right, and so perfectly written and appropriate in every way that it saved and elevated the whole book. 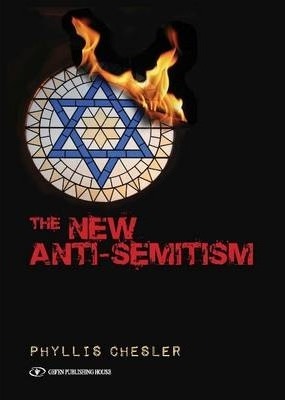 I'd love to know what you thought of it (and anyone else who's read it!). Julia, did your dd make it safely to her final destination? 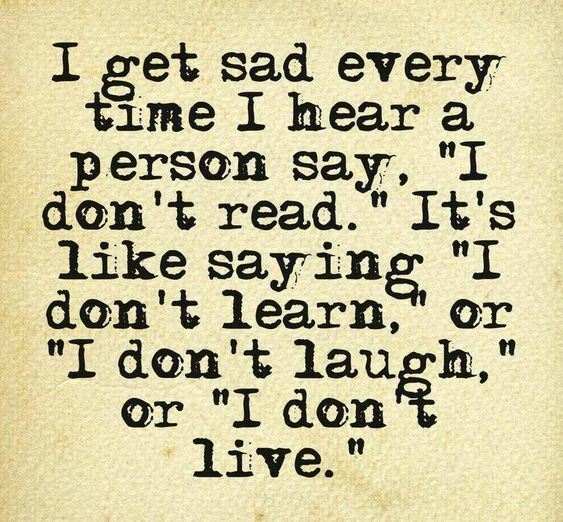 Tonight, I read a novella called The End of the Alphabet by C. S. Richardson. It was charming, bittersweet, & heartbreaking... in all the right ways. ﻿Recommended. When cornered, he claimed to read Joyce, Ford, and Conrad. Rereads of Fleming and Wodehouse were a more accurate library. His opinion of Miss Elizabeth Bennet was not favorable (though he liked Mr. B. and held a wary respect for Darcy). Wuthering Heights, according to Ambrose, was the dullest book ever written. She read everything. Russian epics, French confections, American noir, English tabloids had at one time or another taken their place in a wobbly pile beside the bed. Nonfiction was too much like school, she said. Experimental literature left her cold and annoyed and despairing for the so-called modern craft. She had lost count of how many times she had read Wuthering Heights. 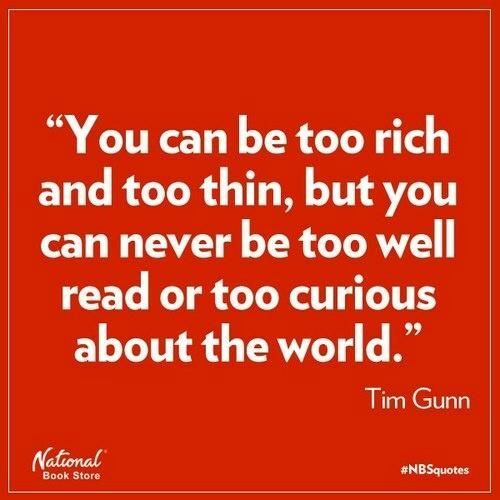 I love when characters' reading habits help define who they are. It warms my heart to them. Last edited by Stacia; 01-31-2019 at 01:34 AM.